1. A good song. It goes without saying we need a very good song first. Our recent entries have been pretty average. But our own song gets much airplay prior to the final and because most Irish people don’t listen to the other songs until the final night, we get an inflated opinion of our own chances. 2. Selection process. Despite the fact that Eurovision songs will be played on a massive stage in front of tens of thousands of screaming fans. Our state broadcaster, RTE, picks the song to represent Ireland, on a tiny stage, in front of a tiny audience during a late night talk show. This needs to be changed. We should be judging songs performed in similar conditions to which they will find themselves in the Eurovision finals. 3. Catchy Chorus. Telephone voting by the audience makes up a 50% of Eurovision votes. I would suggest that most people voting don’t listen to all the songs from beginning to end. Instead most people will listen to some of the songs and base their judgement on the short summary of each song played prior to voting. Therefore we need to concentrate on selecting a song with a really catchy chorus as this might be all that is heard by the majority voting. 4. Stop changing the songs. Around selection time there is talk about submitting a Euro-vision type of song. But there isn’t really a type of ‘Eurovision winner’ we should have the confidence to put in really good song and not one that looks or sounds like it should be in the Eurovision. In any case even if it were true, fashions change and this approach will have us playing catch-up. 5. Don’t push the Irish angle. Of our 7 wining songs, none of the them had a traditional Irish angle with dancer etc. We don’t need to select songs on this basis to win. 1. More Countries are competing. 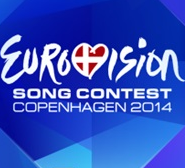 Prior to the year 2000 an average of 20 Countries competed in the Eurovision final. Since 2000 the average is 40 countries. Obviously more competition makes it harder to win. 2. The native language rule has been removed. Prior to 2000 each competing country had to enter a song sung in one of their official languages. This rule benefited Ireland as we were one of the few Countries that could enter songs in English, the language of popular culture. 3. Telephone voting and voting blocks. Prior to 2000 telephone voting wasn’t used to select winners. Now that it is, it gives a benefit to countries with lots of neighbours. Ireland is an island! 4. The Dustin effect. Much of the Irish (and British) public don’t take the Eurovision seriously. One result of this was that we voted to send ‘Dustin the turkey’ to represent Ireland in 2008. Dustin was a turkey puppet who sang a song from a shopping trolley. 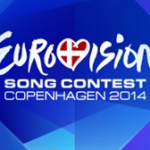 The songs lyrics insulted previous Eurovision winners and interval acts. It was bad, bad comedy, and it really back fired. The song got ‘plucked’ at semi-final stage. Perhaps we are still in the voters ‘bad books’ as a result of showing contempt for the competition. 5. Luck of the draw. Half the points awarded to songs in the Eurovision are decided by telephone voting now. As a result your chances of winning are influenced by the song position. Less people look at songs placed in the middle of the contest, as a results songs towards the end of the running order do better as more people start watching in preparation to vote. A simple illustration of this is that the second placed song, on average, has received less than half the points (from televoting) than one placed towards the end. It should be interesting viewing tonight, for what its worth I think Holland will win.